Buddha’s birthday celebrates the coming of the Sakyamuni Buddha into this world by lighting lanterns not just in the temples, but every household in the village. Specifically, ‘the lighting of lanterns’ has been a widely practiced ritual among different Buddhist cultures. As the Sakyamuni Buddha entered nirvana, he advised, “Regard yourself as light and let wisdom be your light. [自燈明法燈明],” Thus, the lighting of darkness symbolizes wisdom unlocking ignorance. Accordingly, lanterns have become the key offerings of the Buddha and bodhisattvas. Furthermore, when the simple offering of lanterns of common devotees grew to the massive scale of the lantern festival, the result has been more joyous feelings and a more wonderful occasion. Lighting of lanterns was not only a ritual of strengthening one’s vow to practice according the Buddha’s teaching, but also the key activity of the festival. According to Samguk Sagi, the History of the Three Kingdoms, of Korea, it is said that the 48th King Gyeongmun of the Silla Kingdom (841-875) visited Hwangnyongsa Temple, looked around, and threw a party for all the government officials. This is an indication that the lantern festival had already been widely practiced in temples before it was celebrated on a national level during the Goryeo Dynasty (916-1392). The lantern custom is believed to have been transmitted to temples and commoners when Buddhism came in during the Three Kingdoms era, and the tradition continued on a government level on the fifteenth of the first and second months on different occasions. The historical record of the lantern festival on Buddha’s birthday appears in the mid Goryeo Dynasty in 1166. It is written that the lighting of these offerings took place in the palace and at the homes of government officials on that day. By the time of the 33rd King, Gongmin of the Goryeo Dynasty, it is written, “On Buddha’s birthday, a national holiday on the 8th day of the fourth month, every house is lit with lanterns.” Therefore, it can be inferred that the lantern festival had been already listed as a state ritual during the Goryeo Dynasty to be officially celebrated in the first and second months of the year. 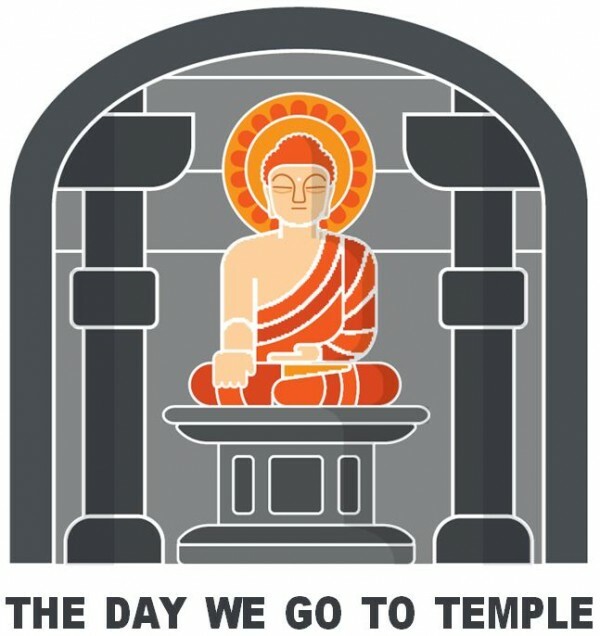 Later, it emerged as a part of Buddha’s birthday, as commoners and temples naturally practiced it on that day later on. As a result, in the late Goryeo Dynasty, it was perceived by commoners to be a part of the Buddha’s birthday celebration. Moreover, this trend spread more widely during the Joseon Dynasty. During that time, various activities related to lanterns and customs have developed over the years. The Dongguk Sesigi, a Record of the Seasonal Customs of the Eastern Kingdom, and Yeoryang Sesigi, Seasonal Festival Customs in the Capital, includes sections on the customs related to the lanterns during the late Joseon Dynasty. In one tradition, a few days before the Buddha’s birthday, a Deunggan, or long pole made of a bamboo, was stuck into the ground to hang lanterns on, and silk flags, peacock’s feathers, or pine tree branches were used to decorate it. Not only commoners, but also those working in government offices or stores, regarded the practice of placing Deunggan highly. The higher the Deunggan was, the prouder they felt. Usually, there were between three or four at each house, or sometimes as many as ten. In general, commoners set up as many poles as they had children. On the streets, merchants competed amongst themselves to have the tallest Deunggan, and a multitude of people came out to see the mesmerizing designs of the lanterns. One particularly amazing aspect of this ritual was the huge variety in lantern shapes and designs: lotus flowers, watermelons, garlic, wild grapes, oriental melons, eggs, dragons, phoenixes, cranes, birds, carp, turtles, terrapins, lions, tigers, and deer. Likewise, some of these designs featured flowers, fruits, fish, or animals, whereas others showed lucky omens or various designs like the Big Dipper. Simple indoor ones showed symbols of the sun, the moon, longevity, peace, eternity, Mt. Namsan, balls, ships, buildings, handrails, flower pots, sedan chairs, bottles, pottery, bells, and more. Some even showed a general mounted on a horse, a scene from Romance of the Three Kingdoms, a Chinese classic historical novel by Luo Guanzhong, drawn from a beautiful angle, looking down from heaven. Many children were fascinated by these lanterns, and bought them to play with. Additionally, Youngdeung lanterns that created interesting shadows were very popular. Inside these lanterns was a turning lathe, filled with various animal-shaped carved papers, or a hunting scene, so as the wind blew, it went around and around, creating fascinating moving shadow scenes. For those who could afford to have extravagant decorations, they installed Deunggan consisting of tens of tall bamboo poles as well as a mast, and beautified them with various ornaments that could be pushed by the wind. At that time, when rotating lights were placed there, it is said that they shot out continuously like bullets. Additionally, there is an indication that gunpowder was sometimes wrapped in paper and hung between Deunggans. When it was lit with fire, it created an amazing scene of fireworks raining down, which the people enjoyed very much. Moreover, tens of pages of paper could be connected to make a dragon. When it blew in the wind, it wiggled like the creature, or sometimes clothed puppets or baskets were hung on it for amusement. For the two days of small and large gatherings for Yeondeunghoe, lanterns were lit up, not only at the palaces, but also the capital all night long. The whole area was packed with many spectators, as the curfew was suspended for the night. During a time of inadequate lighting and a strictly enforced curfew, Buddha’s birthday was an extraordinary time of festivity, a night as bright as a day and filled with freedom. There is another record, stating that commoners were able to walk around the streets, playing musical instruments in all places all night long, so the entire city buzzed with excitement. Ever since those days, the custom of floating lanterns on a river or in a sea has continued as one of the most important celebrations on Buddha’s birthday. Likewise, lanterns were lit not just on land, but also water, creating a splendid water-borne spectacle. The city was crowded with a sea of people and became a city of lanterns. Trails of spectators led the way to nearby hills to enjoy the whole panoramic view of the various designs of lights and crowds. It is easy to imagine why the lighting and appreciation of lanterns during Yeongdeung activities had become an exciting festival for the people to entertain themselves. Lanterns in every household of Seoul are as bright as the glow of the setting sun. The world is crowded with mountain- and lake-shaped lights, and lotus flowers appear on the second and fourth bridges. The east and west streets are bright as broad daylight, and children running around are faster than monkeys. Though the Big Dipper has gone down, lanterns stand still, and only a water clock rushes at dawn in front of the palace. Additionally, Kings went to visit Bongeunsa Temple in the city with a long trail of loyal subjects on Yeondeunghoe. As was done in the past, a parade has been the highlight of a festival, even in modern celebrations. Though lanterns used to light up every house, it is only natural that these lanterns have managed to find their way into a festival, as we live in the society of various religions. For people who identify with the meaning of Yeondeunghoe, participating in the parade holding the bright, highly-symbolic lanterns is the most enjoyable experience of the celebration. Similarly, Yeondeunghoe is not only the key ritual among Buddhist activities on Buddha’s birthday, but also has been continuously celebrated in a way that holds historical significance among the festivals of Korea. * Please note that this writing is an excerpt from the book, "The Day We Go to Temple" and is contained in the summer 2016 edition of the Lotus Lantern magazine under Buddhist Culture Section on page 23~29.